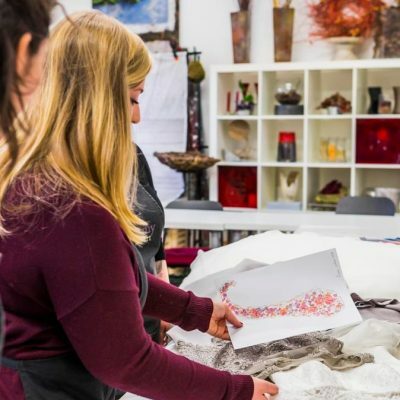 As part of the tenth anniversary celebrations of the British Academy of Floral Art, we are thrilled to announce the launch of the all-new and truly unique Academy Masters Programme (incorporating City&Guilds Level 4). 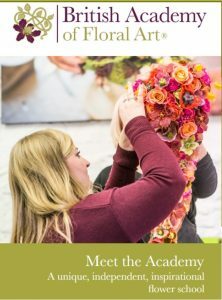 The Academy Masters part-time Level 4 Training Programme is the perfect choice if you are looking to develop your talent as a floral designer, re-invigorate your passion for floristry and add more income strings to your bow. It is an advanced floristry course – stimulating, challenging and inspiring – for students who have either completed and passed the Academy Level 3 qualification, the City & Guilds Level 3 qualification or have the equivalent industry experience. 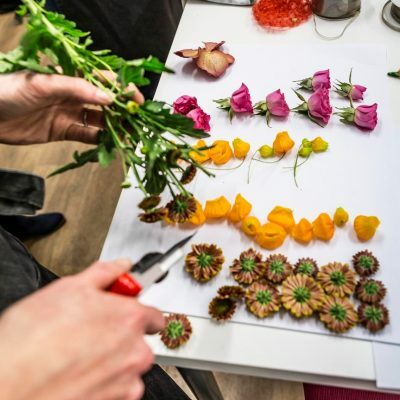 The Academy Masters Level 4 has been specially designed by our team of internationally recognised floristry tutors to work as an exclusively hands-on, practical and applied modular course. 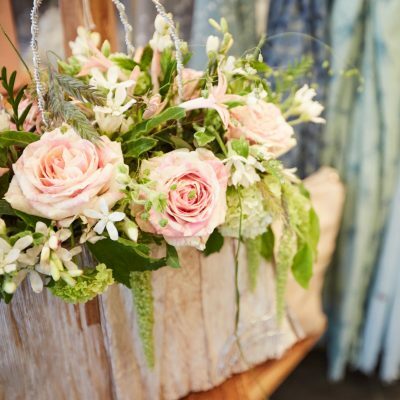 We know from our years of teaching experience that many florists prefer to learn this way. So, you can choose to simply study a specific module, or take all 5 (we have 10 to choose from, spread over 24 months) for the full Academy Masters Level 4 qualification. If written work and formal examinations also appeal to you, you can add our separate Theory & Exam module to achieve the City & Guilds Level 4 Higher Diploma in Floristry as well. 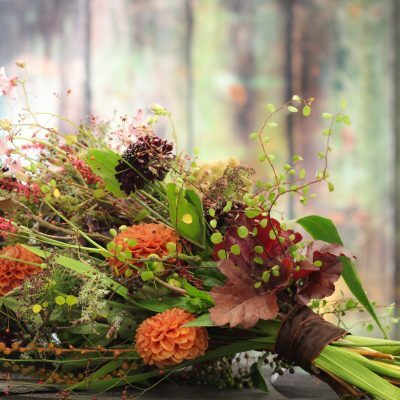 In creating this course, we wanted to offer a flexible framework to support you in the next stage of your floristry career and take your floristry knowledge to new heights – whether you are currently a freelance, shop or studio-based florist, a business owner, tutor, judge, wholesaler or a flower farmer. Our aim is to fit around your life, your business and career ambitions. Option 1: One module: ease your way into the Academy Masters Level 4 programme and stretch and challenge yourself by picking individual modules for CPD purposes as time and funds allow. You will receive a certificate on completion of each individual module and do not have to commit to the full Academy Level 4 qualification at the outset. But you’re sure to end up wanting more! We are proud to say that our Academy students have achieved a 100% pass rate in the City & Guilds Level 4 exam. They have also been awarded medals in the RHS Chelsea Florist of the Year competition, achieved top ranking in the New Covent Garden Market College Day competition and won WorldSkills UK heats as well as teaching or running successful businesses of their own. If you are thinking of adding demonstrations to your earning potential, this unit will help you with many transferable skills including presentation skills which could be used to present a pitch to a corporate client, or land a wedding client or be used in teaching a workshop etc. how to organise your delivery vehicle including loading, setting up and clearing down. areas that make up a polished presentation including personal presentation and packaging. This unit is excellent for preparing you for the world of Floral competitions in all their glory and the inevitable ups and downs, whether you are looking to compete to showcase your work or see the brief as a personal development challenge. In the current climate, environmental considerations are a key focus for forward-thinking businesses, and in this module we explore areas that could bring benefits and expand sales areas within your business whilst taking better care of the environment. This module is perfect for developing your own style and design skills. We use mapping techniques to aid you in deciphering your design journey and understand your preferred design style (this may not be what you consider your style to be now!). Trends and Inspiration – this explores the current trends and influences and how we can utilise them to enhance own work or business. The Theory Module is all about the theoretical knowledge that will assist you in your floristry business or career. It will also prepare you for the City & Guilds Level 4 qualification. It takes all the skills you have learnt from the practical modules and adds the theoretical knowledge to broaden and deepen your understanding enabling you to complete the City & Guilds Higher Diploma in Floristry Level 4. This module includes a mock practical and theory exam. We will support you in compiling and presenting your final portfolio, assignments and help you prepare for the City & Guilds exam. The final exams are held twice a year in January or July. The theory exam is usual held at the British Academy of Floral Art and the Practical exam can be held at any City & Guilds registered centre and depends on numbers. Please note that this may be held at another college. Assessment: This unit requires you to complete and pass 9 assignments including a portfolio of your own work and the mock exams. You will be also required to answer practice questions and complete speed tasks to improve you speed and recall. This module requires full attendance of 65 hours. There will also be group tutorials available during the module of up to 7 hours. In addition, you will need to allocate around 80 hours of self-study time to complete assignments, portfolio and research. Who is my Academy Level 4 tutor? You will be in very good hands with our friendly team of Academy tutors. We are all highly qualified florists and tutors with considerable real, commercial floristry experience – and we absolutely love what we do! The tutor teaching the City & Guilds Level 4 course this year will be Tina Parkes. Tina is passionate about teaching floristry and co-founded the British Academy of Floral Art with Julie Collins in 2008. Tina is possibly the most qualified florist working in the UK today as the only English florist to hold Dutch, American and British Master Florist qualifications and to have won an RHS Chelsea Gold medal. You can pay for each unit individually. Flowers, foliage and sundries are not included in the fees. You can source your own, or we can source them for you at wholesale prices. You should allow around £30-50 per day for the cut material and sundries. £150 Registration fee for City & Guilds examination body if you choose to build up to the full C&G Level 4 qualification. Your registration is valid for three years. £ £4830 TOTAL for the complete Academy Masters Training Program with the City & Guilds Level 4 course and exam (included: VAT, 5 Practical Units, Theory Unit and Exam).The total number of guided learning hours (GLH) for the full City & Guilds level 4 is 287 hrs. It is part-time and takes 24 months to complete. Thanks to the modular nature of the Academy Masters Level 4 programme, you don’t have to wait for the traditional academic year to get started. Instead, you can simply enrol at the start of a module. If this course sounds like the one for you, then you can book onto your first module by clicking the box below. On the other hand, if you would like to talk to the Academy team for more advice and guidance, you can call us to chat it through on 01392 834893 or email us at julie@academyoffloralart.com.